Kilargo announces the release of their Door Sealing System Product Catalogue featuring comprehensive information about their products. In the latest edition of the Door Sealing System Product Catalogue, specifiers and customers can explore the entire Kilargo door seal range. 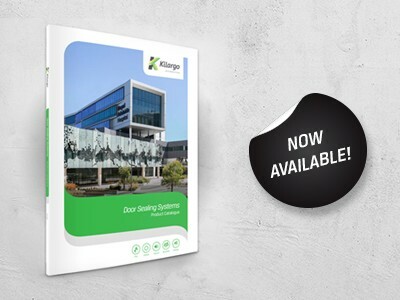 Kilargo’s 2018 product catalogue features the latest information on their entire door seal range for Fire, Smoke, Acoustics, Antimicrobial, Bushfire, Weather and Energy applications. The fresh and improved design layout allows the user to find information quickly and efficiently. Key design features include refreshed renders and imagery enabling easy viewing of in-situ products; QR codes on all products allowing ease of access to more information online; and special profiled projects featuring Kilargo products placed throughout the catalogue.